When it comes to natural and organic make up products I feel that overall there is still a lot of catching up to do with skincare. Make up is much harder to formulate without silicones, mineral oils and other synthetics, that’s not to say there aren’t good products, but we are still a long way behind the industry in general. I have been a fan of mineral powder formulas for years, they work well for me, but I do get excited when I find a cream formula that is well made and stands up to some of it’s conventional counterparts. 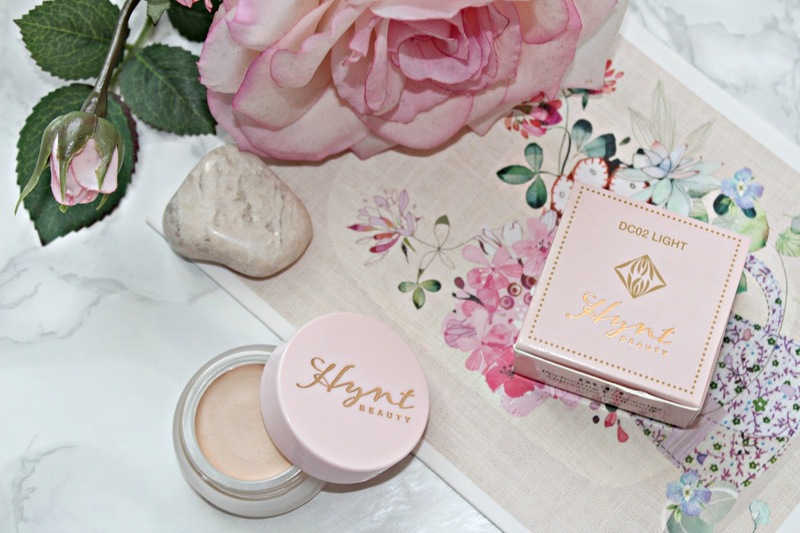 Hynt Beauty has been on my radar for a while, this US brand used to be known by the name of Cristopher Drummond and although the concealer has been receiving rave reviews for some time, it wasn’t until their rebrand that the packaging caught my eye. Hynt beauty co-founder Meryl Marshall founded the line to fill a gap in the market for make up that was free of irritating or synthetic ingredients, but that also stood up well in terms of pigmentation and luxurious formula. I have tried quite a lot of natural concealers over the years and they all generally have a more dewy formula, great for a natural look but not so good for oily skins or those wishing for a flawless finish. The coverage and the feel of the concealer is where it stands out from others on the market, although a creamy and easy for apply formula, it dries down to an almost matte formula on the skin. The pigmentation is really rather impressive as well, a little goes a long way. The concealer comes in six shades in total, from very fair to deep. Although I don’t think it goes nearly far enough, it is more inclusive and extensive than some of the other natural beauty brands available. I sound like a bit of a broken record when it comes to shade ranges, but it is an area where green beauty brands could still improve. Edit: I have been told by Hynt there is another shade on it’s way and that will do their best to add more as the company grows. I chose the shade 02 Light, it is a little too light for my skin at this time of year but it has a neutral undertone and blends nicely. You only need a really light hand to apply this product, it works well for both blemishes and under the eyes, although I feel like the medium shade might be better on me for dark circles and I may well end up purchasing that one as well as that way I can mix the two. In terms of ingredients the Duet concealer is free from mineral oil and animal ingredients, making it suitable for vegans as well as being certified cruelty free by Peta. It has some nice soothing botanicals such as avocado oil and aloe vera, so it doesn’t look cakey or dry under the eyes. I did have to look up some of the ingredients, as I hadn’t spotted them before and found propylene carbonate which is derived from propylene glycol, certainly not something that will be a favourite with purists, but a great ingredients list overall, especially when you look at the performance of the product. When compared to other similar products such as the W3LL People foundation stick and the RMS un-coverup, Hynt Duet concealer has a less dewy and more pigmented finish. It’s one of the only natural concealers I don’t feel the need to powder immediately after application. It has good lasting power by itself and although like all concealers it does have a tendency to settle in lines around the eyes, overall it doesn’t move around too much. You can find Hynt Beauty products at Glow Organic* in Europe and Integrity Botanicals* if you are in the US. This concealer is easily one of best purchases this year and will get a lot of use in the winter months as my skin tone gets a little lighter. 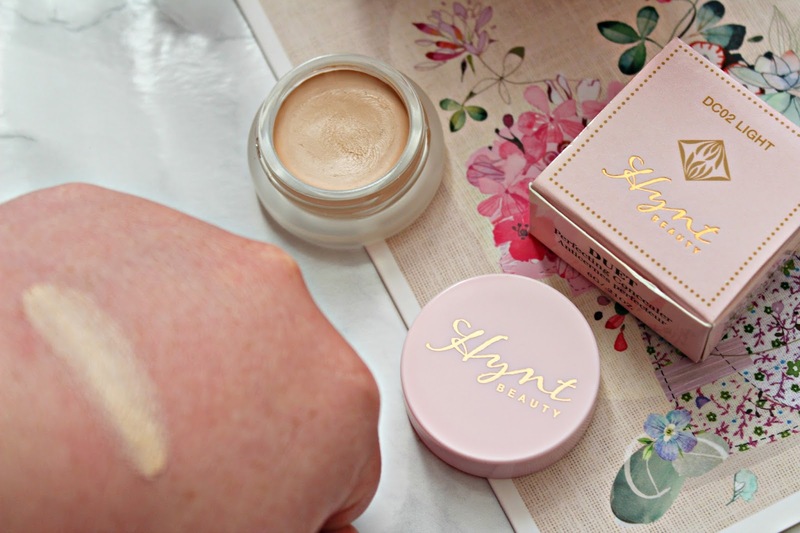 Have you tried Hynt Beauty? What should I try next?